"Wide Leather bracelet - Man by English Fashion Design. Mighty Good Man, timeless gentlemans fashion. Free shipping from 2 items ordered | rated 9.0 by our customers"
You may want to look rugged. But that does not mean you can't pay a little attention to your outfit. 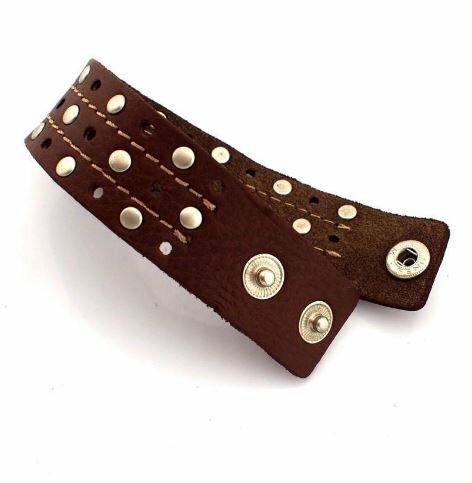 This wide leather bracelet by English fashion design gives your look just the right tough edge. Leather is always good, easy to combine because you often have leather shoes or a belt. So easily combine this accessory with your others. But it's also so very easy to combine this shade of brown with lots of other colors. 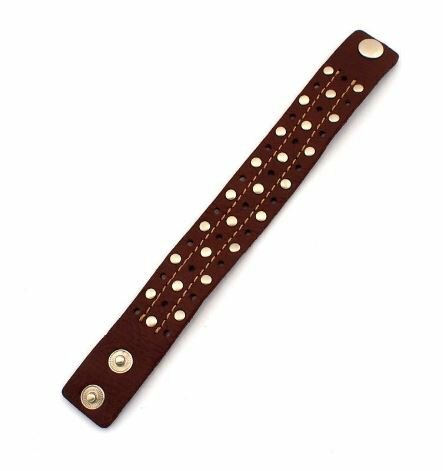 The bracelet is made of wide leather and can be fixed with a clip-on button with 3 lengths. It fits easily on every wrist. The bracelet is 23.5cm long. 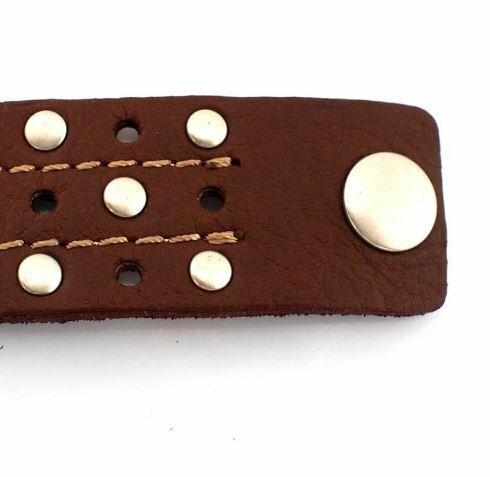 Hand Made of genuine leather and finished with metal buttons and clips. 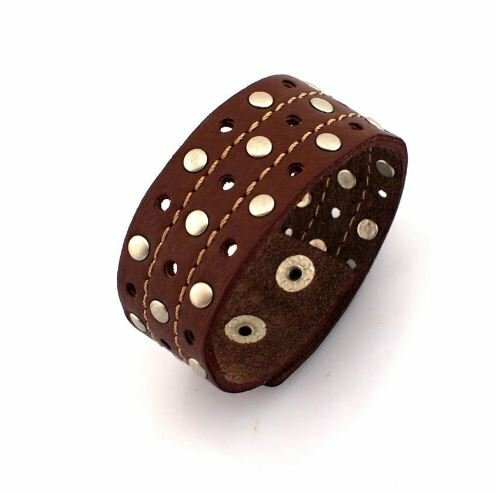 This wide men bracelet is tough looking for any men's wrist and is really all you need. Just one good bracelet can really complete your outfit. Have an idea of how you want to wear it? Share it on facebook or twitter. Snelle levering! Site werkt goed en overzichtelijk. Erg mooie producten. Deze armband is voor mijn vrouw die vrijdag jarig is. Site is gericht op mannen maar er zitten zeker ook mooie dingen bij voor stoere vrouwen. 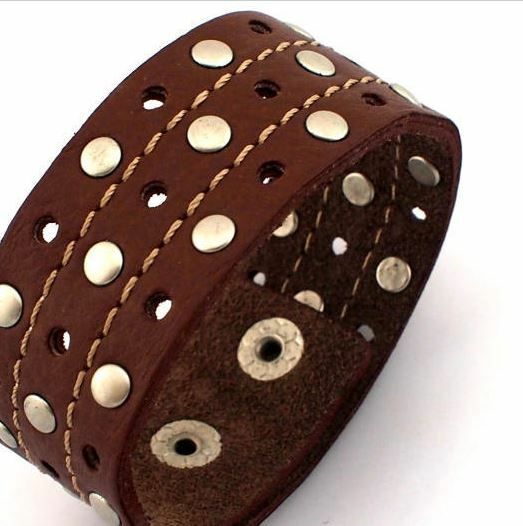 Mooie en stoere armband er gaaf!